When I think of lentils I can’t help but imagine the Biblical scene where Isaac’s laying on his death bed and Jacob’s about to supplant his brother Esau by fooling Isaac with a bowl of lentils and a sheep’s skin wrapped around his arm to imitate his wild and hairy brother. OK, I know Isaac didn’t have a Texas cowboy accent but I think they call what I just wrote literary license or something like that… it’s allowable under the right circumstances. Besides, I know Isaac would have fallen in love with Texas. So you ask, what has lentils got to do with Shepard’s pie? Plenty if you want a meatless dinner for a change. I’m not going to haggle about the good or bad of beef here, that’s for you to decide upon. I will say that if you ain’t eating real Range of Grass fed beef then all them cancers and other such medical maladies might just be your own fault. ‘Nuff said about that! Back to the Pie. 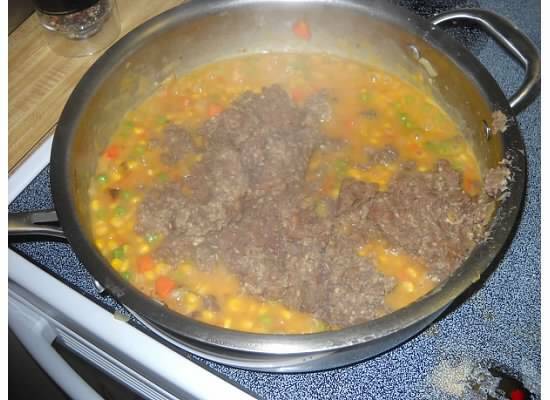 You can easily replace the lentils here with 1 lb of grass fed chipped or ground beef but for the sake of my daughter in law who fed me this surprisingly good dish, I’ll keep it to her original recipe. 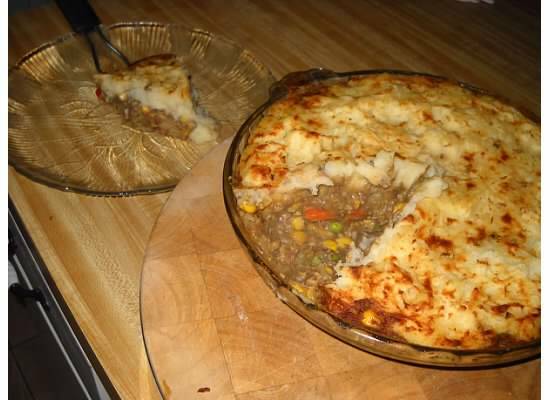 Now, a bit of history (you know I’m a big history buff so bare with me) “Shepard’s pie” began as “Cottage pie” somewhere around 1791 or about the time poor folks here started eating potatoes. The word cottage did not mean a small vacation home along the banks of an upstate New York lake, instead a cottage was a small dwelling, sometimes made of sod, logs or if available, cut lumber. It was a humble abode built mostly by poor folk. 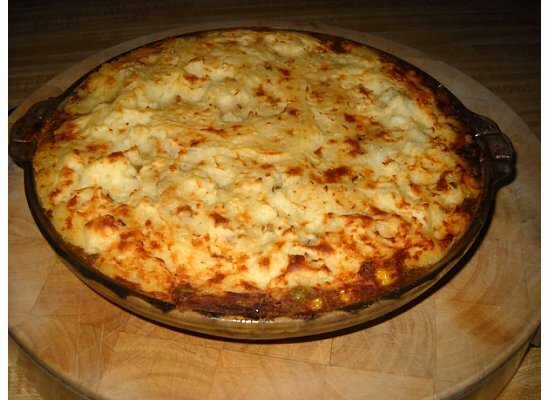 Shepard’s Pie was the American version of the French Ratatouille (made famous in the Disney film of the same name). Most every culture’s favorite recipe comes from poor folks kitchen for survival and not created to impress folks. Basically it was a mish mash of veggies that were available to the poor from their own gardens. Potato’s had been thought to be poisonous a bit before that so they weren’t real common. Maybe the early settlers saw the Irish eating them without dying and that convinced the poor folks in this country that eating a potato may not be so bad after all. I mean the Irish were alive even after getting pie faced on there homemade whiskey so maybe they were onto something. 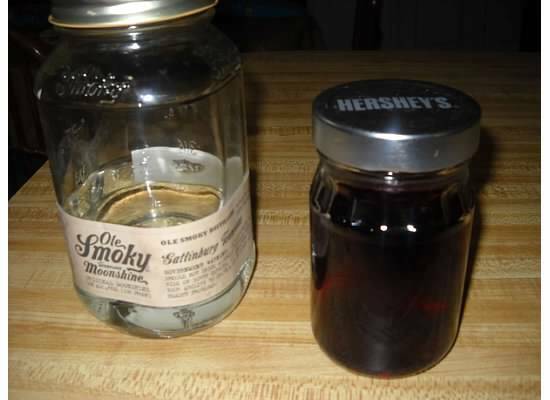 Today we call that moonshine and someday I’ll put my recipe for it on this site since it too is a Heritage Recipe… illegal but a Heritage recipe none the less. The first time “Shepard’s” pie was found in writing is in 1877. 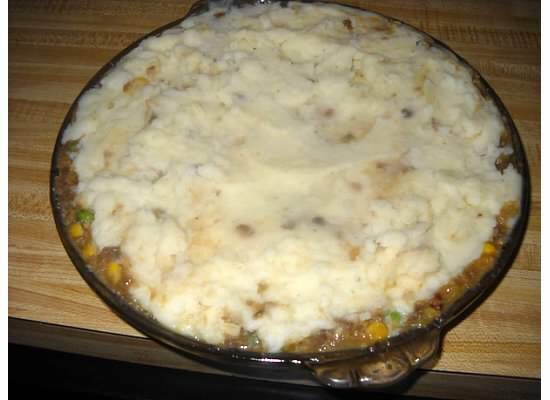 Now folks bicker about the origins but I’m figuring most all cultures have their own version of Shepard’s pie, the same as the French with their Ratatouille. 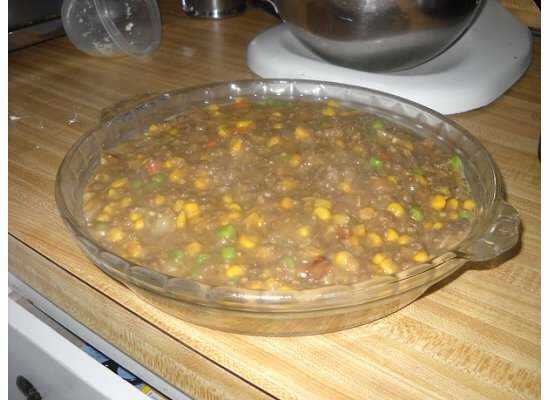 In rural Appalachia where potatoes don’t grow well, bread crumbs were used and Shepard’s Pie was called Cumberland Pie. So now you know. buttermilk, butter and 1/4 teaspoon each salt and pepper. Mash with a potato masher until very smooth. 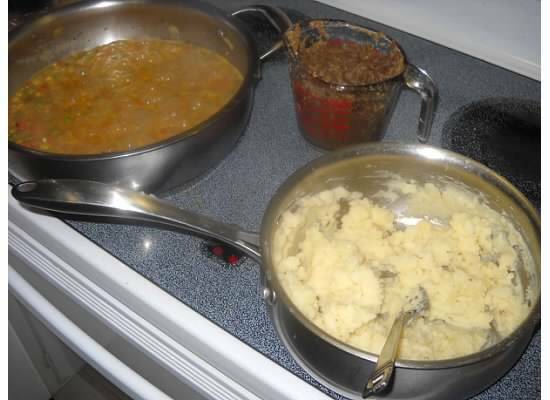 Add enough water to get the potatoes similar to frosting, but not soggy. Dry potatoes don’t spread well. 1 minute. 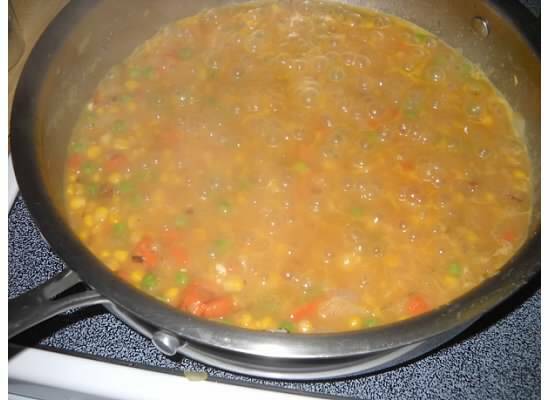 Stir in lentils and cook, stirring constantly, for 2 minutes. Divide the hot lentil mixture among the prepared ramekins (or spread in the baking dish). Top with the mashed potatoes. (Don’t get upset if they don’t spread easily, just do what you can). Broil, rotating halfway through, until the potato is lightly browned in spots, 6 to 10 minutes. 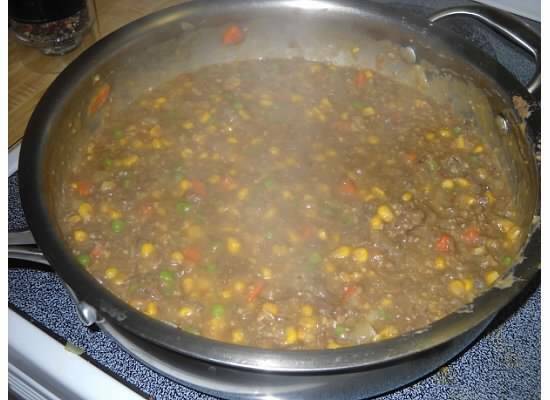 In a large frying pan I add the veggies and spices then simmer until soft. Earlier in this post I mentioned the Scott/Irish connection to their wonderful distilling of Moonshine. I was about to post my own recipe for “Moonshine” but then wondered if WordPress might delete it since the making of Moonshine is not actually legal. (Distilled spirits). So instead I did a slight alteration and in the end I think it’ll be a lot easier on you if you decide you want to wet your lips on the real McCoy of booze. With this recipe, you’ll have no need to run out and buy a bunch of sheet copper, tubing and silver solder to make a still with. Today you can find real “Moonshine” in many State liquor stores. So here in this post I am using a store bought jar of Moonshine for the photo…note that I said “Jar” and not the spirits.